For English speakers who want to study for an LL.M. in a foreign country, language is often a concern. But in the Netherlands, there’s no need to fret. The level of English spoken at university in the Netherlands is “comparable to studying in the UK or US”, says Dennis Baas, Communication Advisor for marketing and recruitment at Tilburg Law School. 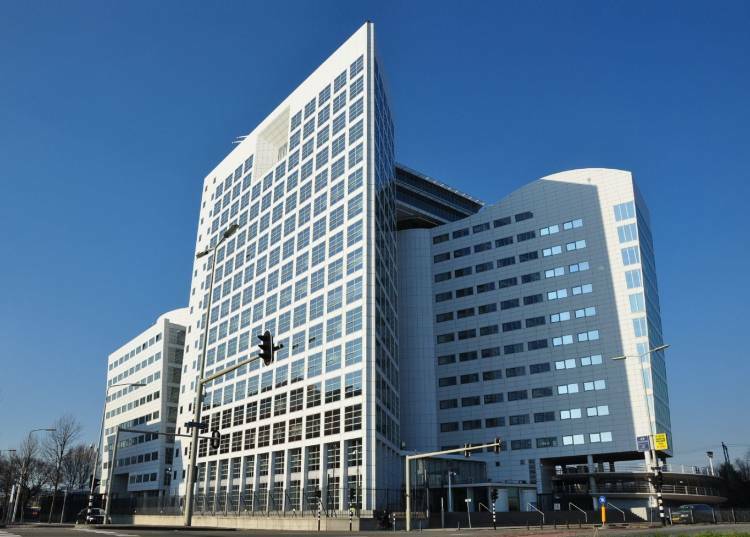 Beyond the language issue, many LL.M.s come to study in the Netherlands to be close to some of the world’s most important international organizations, such as the Peace Palace and the International Criminal Court (ICC), both located in The Hague. “In the context of international law, [the Netherlands] is where decisions are made and where the courts and trials take place,” says Dr Chris Brennan, Marketing Advisor at University of Groningen’s Faculty of Law. Brennan says the Netherlands’ compact size means these institutions are easily accessible from anywhere in the country. Groningen, for example, is only two-and-a-half hours by train from the Hague, despite being in the far north of the country. Brussels is only a short trip from Amsterdam, the Hague and Tilburg, as is Cologne, to the west in Germany. What do the Netherlands’ law schools have to offer? Although international law is a big draw, students studying in the Netherlands have no shortage of options when it comes to LL.M. specializations. Groningen’s seven LL.M. programs, for example, offer specializations in international human rights law, public international law, global criminal law and European economic law. Its LL.M. in Energy and Climate Law is a highly specialized program with local significance. The Groningen gas field – Europe’s largest natural gas field – is nearby, and many of the Dutch energy companies have offices in the city. Meanwhile, Tilburg Law School works its youth to its advantage – the University was founded in 1927, whereas Leiden, Groningen and Amsterdam universities were founded in the 16th and 17th centuries. Dennis Baas at Tilburg Law School says the university’s status as a much younger institution means that “we’re not so conservative when it comes to what a law program should look like. In that way, all our programs have an interdisciplinary and international focus”. Their interdisciplinary offerings include an LL.M. in Law and Technology, an LL.M. in International Business Tax Law and an LL.M. in International Law and Human Rights. Baas points out that students don’t come for a Dutch perspective, but rather for an international perspective they can take back and use in their home countries. Leiden University is found in the Hague. Its law school offers LL.M.s, as well as Advanced Master’s programs for those who have already obtained a Master’s degree. Leiden’s regular Master’s programs can be taken with a focus on European Law or Public International Law, or as an MSc in Criminal Justice. The Advanced Masters’ programs dig deeper, with students selecting a specialization like Air and Space law, European or International Tax Law, European and International Business Law or International Children’s Rights. Beyond the huge range of LL.M. 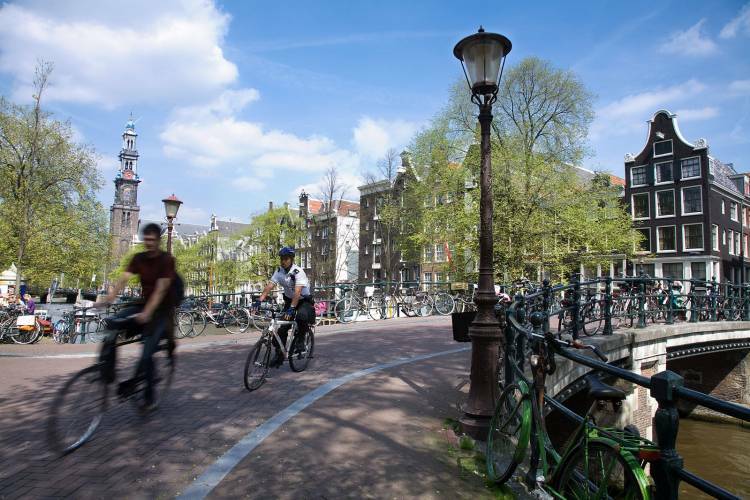 offerings, the Netherlands, has much more to offer: Amsterdam, for instance, is regularly featured in top lists of the world’s most livable cities and the informal, internationally-minded Dutch people make friendly neighbors and classmates. The Netherlands’ flat landscape is known for its natural beauty, ubiquitous bicycle paths and tulip fields. But it also offers world-class art museums and a western coast of beaches. From golden sands to wild dunes, Dutch beaches are easily reachable from the cities and are packed with visitors in the surprisingly balmy summertime. Working in the Netherlands during (and after) an LL.M. Thanks to a recent law change, it is now easier for international students in the Netherlands to gain work experience while they study. Sheena Bruce, Deputy Head at the Office of International Education at Leiden Law School says that previously international students needed a work permit in order to do a paid internship, but those rules have been softened. This applies to work experience that’s related to a program of study. Non-EU students still aren’t able to work other jobs without a work permit. As for finding work in the Netherlands post-study, it’s not easy, but there are a number of possibilities. Students with EU passports can of course stay without a visa, but for non-EU students who have been studying in the Netherlands, they are able to apply for a one-year job-seeking visa. This allows plenty of time to look for work in the Netherlands, as well as in the rest of the EU – a great opportunity if you’re eyeing up a position in Brussels or somewhere else in Europe. Dennis Baas at Tilburg points out that if an international student decides to seek work in the Netherlands, they need to remember that they won’t be eligible for traditional lawyer jobs. It’s not as simple as just taking a bar exam – they would need to start over and do a bachelor’s program in Dutch law first. But that doesn’t mean there aren’t interesting opportunities for non-Dutch graduates. “If international students decide to stay here and they find a job, they’re more or less working in international organizations, or in law offices that are dealing with companies, for example, in the country they are originally from,” says Baas. There is one opportunity in particular that Baas has seen bear fruit. He says that many students who have taken the LL.M. in Law and Technology at Tilburg University have ended up with jobs in Brussels as the EU has been overhauling its data protection law, set to come into force in 2018. This has created jobs both in legal institutions and in companies that base themselves in Brussels in order to stay connected to the EU.